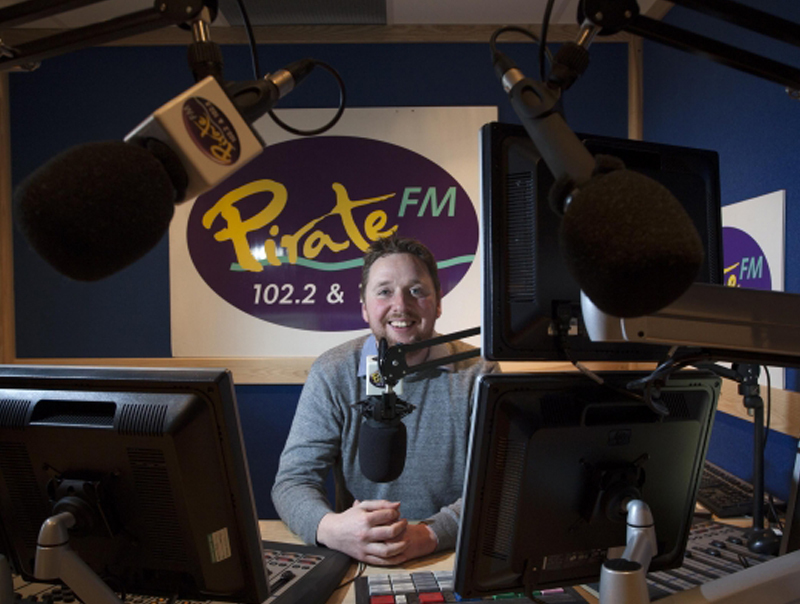 Cornwall’s leading commercial radio station Pirate FM has embraced the latest digital technology throughout its lifespan. Now, superfast broadband is allowing the innovative radio station to take its business to the next level. The studio at Redruth has a ‘Fibre to the Premises’ connection, which is bringing them business broadband download speeds of around 75 Mbps. Matt Bunt, Head of Digital Content at Pirate FM, says: “The whole environment for radio is very different from five years ago. It is not just about radio any longer: Radio has become a multimedia platform. Matt continues: “Our flagship digital product is a daily video news bulletin, which we launched in October 2014. This is a highly professional video of up to 90 seconds, which edits together the latest news coverage. It goes out on our website and social media channels, attracting on average over 10,000 views a week, some of which are not regular radio listeners. In this way, we are extending our reach to new customers and opening new revenue streams through advertising. Superfast broadband has allowed us to make the most of this exciting new opportunity. The High Definition videos are very large files indeed, but with our fibre broadband connection, we can upload the videos to the web in seconds.